Filipino southpaw Jelbirt Gomera (14-5, 7 KO's) of the Highland Boxing Team gets the golden chance to travel to Belfast, Northern Ireland to headline on ESPN+ with none other than Irish Golden Boy former WBA Bantamweight Super Champion, Ryan Burnett (19-1, 9 KO's). The two 26-year-old men will collide for the vacant WBC International Super Bantamweight title on Friday, May 17 at Belfast's historic Ulster Hall; and the Filipino hopeful can't wait for the sound of the first bell. 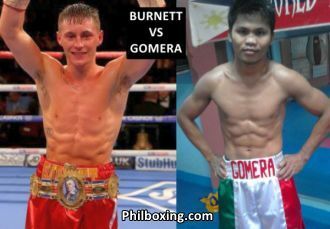 "Yes, Jilbert (Gomera) from our boxing gym will fight Ryan Burnett for a WBC 122-pound belt. I think this is a really perfect window for Gomera to display his good boxing skills against a great boxer like Burnett," shared award-winning Filipino promoter Brico Santig, founder of the popular Highland Boxing Team in the beautiful mountainous Province of Benguet in northern Philippines. 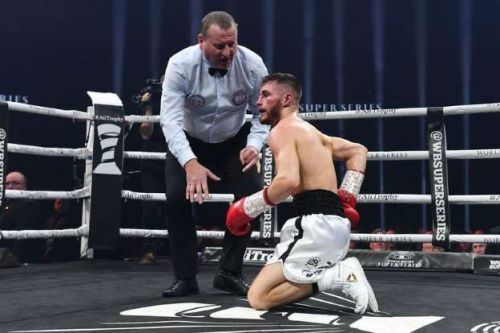 While fighting against Filipino Nonito Donaire five months ago, Ryan Burnett sustained a shocking back injury during the action of round four, which forced him to take a knee and surrender in agonizing pain, leaving the ring in Glasgow on a stretcher. Ryan Burnett suffers a back injury during his fight against Nonito Donaire Jr. Leading in the scorecards, Burnett was applying pressure on Donaire when the unfortunate mishap occurred. Even though the Irish Golden Boy has had some back problems in the past, his many fans are hoping that Ryan's back has been totally healed for the beginning of part 2 in Ryan's stellar boxing career. Let's hope so. The author Carlos Costa is a Panama boxing reporter living in the Philippines. Carlos can be reached at carlos512@hotmail.com and whatsapp/viber +639184538152.